A wardrobe styling is a great session if you feel your wardrobe has lots of potential but you just don’t know how to put it all together. The focus of this wardrobe styling is on your body shape, your best colours and mix and matching your existing Wardrobe. 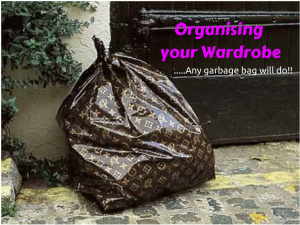 It is such a rejuvenating experience as we sort out your entire wardrobe into what works and what is missing. Most clients feel very organised and energised when the work is done. Clearing out the wardrobe will give you the opportunity to connect with the pieces you love. And together with your stylist you will create many mix and match options you never thought of putting together. This is a perfect place to start and Clients often decide to book in for a style session to completely kick their style rut to the curb! Once you wardrobe styling appointment is organised you will receive a short questionnaire to complete online so your stylist can prepare for your session. We will meet at your home at a convenient time and head straight to your wardrobe. 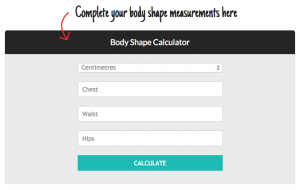 Firstly, you will receive a body shape analysis which is done over your clothes. This is where all the good stuff starts. As from here on, your stylist will recommend styles and shapes that look the best on you. Secondly we talk about your best colours and what colours will make your features look amazing. Then we move on to pulling each garment section out one of by one. Often it works to try on some of your pieces to confirm the fits and style and most importantly if you still love it. We will create different piles of clothes that need altering, dry cleaning, recycling and the rest will go back into the wardrobe. Our Gap list will continue to grow during this session. The session will take 3 hours and we take up every second of it with making your wardrobe look amazing. You will receive a comprehensive email of style recommendations based on your body shape and additional notes from your session. You will have six months VIP access to our team for any style, shape wardrobe or colour questions. If you are looking for a great gift, the 3 hour wardrobe session has been a very popular one! Of course we can tailor make any gift certificate to your budget and deliver it via email or mail depending on the urgency. 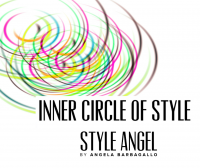 There are a number of Style Angel sessions that will compliment your wardrobe styling. All of the below sessions can be done on the same day or over a few days. It is up to YOU! 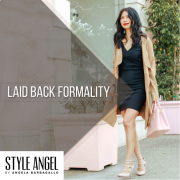 A personal styling session is perfect if you feel you are in a style rut. Your body shape may have changed and you have lost your sense of style. What used to look great, doesn’t any more and you simply need some style help. A Colour Session is a great session to ensure you get your colour choices right all the time. Make Up Lesson. A great way to learn about latest make up techniques and your best shades. “From the first phone call confirming the gift voucher had been processed, I felt that you were extremely professional and efficient. You went to work quickly, without much small talk in order to maximise the wardrobe consultation. You helped me “shop in my own closet” and created new combinations or showed me how to update items that I already had.” Alexandra from Mosman.